The handmade rustic wooden fairy house candle holder is designed to add some fairytale-like and Halloween-style atmosphere in your room. Like the design? Let’s keep checking. This is a well-crafted and eye-catching cable holder handmade by Ko Xanthis, a Greek craftsman. 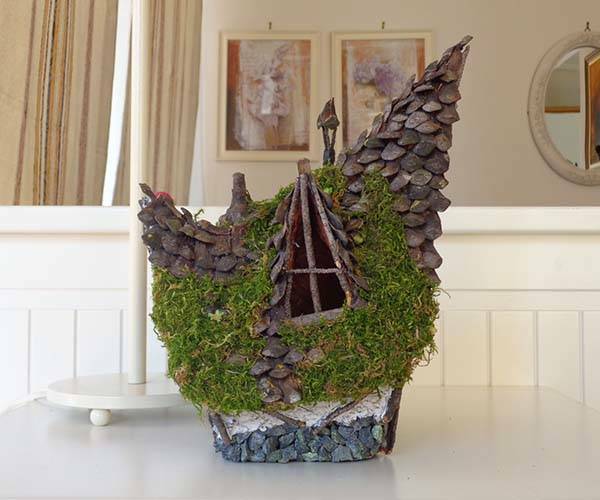 As we can see from the images, the candle holder is shaped as a rustic, fairytale styled house, and it shows off highly exquisite and realistic details. 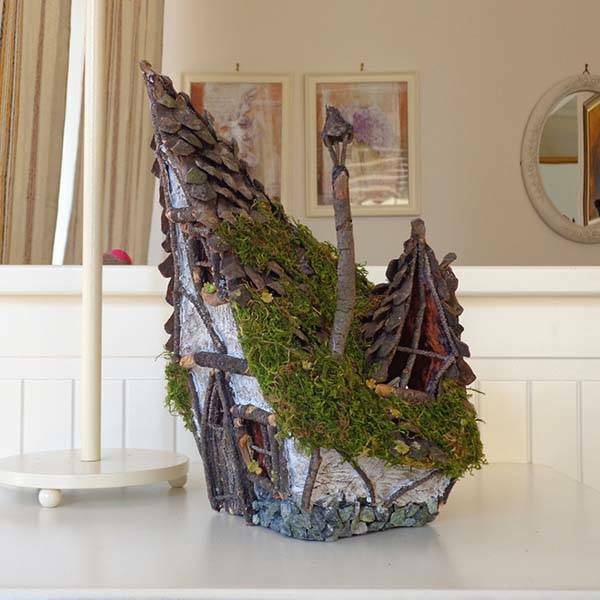 The outside of the house roof is made out of pine cone petals, stuck one by one to the ceramic mold, and it delivers dried natural moss along with a tall, thin wry chimney and two pointy skylights. Furthermore, the walls of the mini house are made of small stones and branches, and the white part of the walls is made of plaster. Moreover, the front side features a door and two small windows with some flowers on the ledge. The candle holder measures 20 x 15 x 23cm and weighs 0.8kg, so you can easily deploy it on your desk, nightstand or wall shelf as a charming decor. The inside of the candle holder is made out of clay, so you can use it as a tea light candle holder, but just to be safe, you’d better light it up by putting some Christmas lights or a LED light. There is a small opening on the back side for putting in the lights. In addition to adding some gorgeous light, you even can use it to create fantastic scenes for miniature photography. 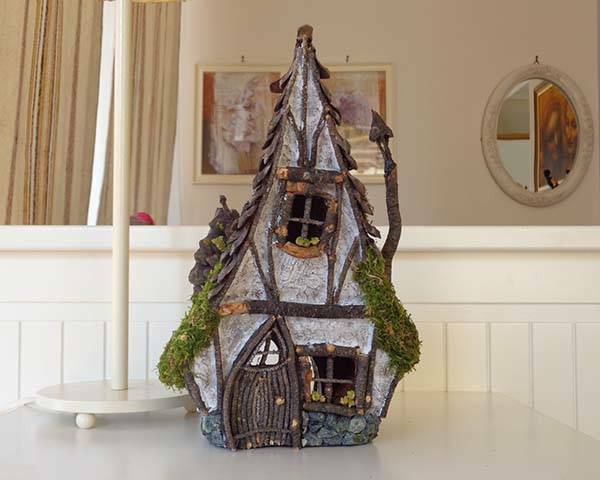 The handmade fairytale-styled candle holder is priced at $33.75 USD. If you’re interested, jump to Etsy for its more details.